This utility valve makes a great inlet for installation to the inlet pipe near the unit for vacuuming cars. 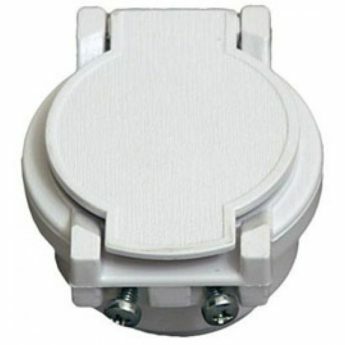 Also a handy inlet for locations such as inside of linen cupboards, garages or attics. Fits into a fitting such as a pipe joiner or elbow. Will not fit directly into the pipe unless a bell end or fitting is used.